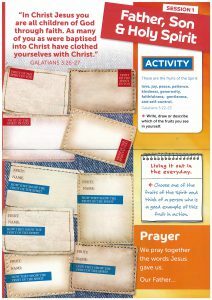 A resource for children (9-12 yr old) on their journey of faith through the RCIA. The Crossroads RCIA activity book is a resource for children on their journey of faith through the RCIA. It accompanies session plans for the Inquiry, Catechumenate and Purification and Evangelisation stages of the RCIA for 9 -12 year olds.